You don't have to leave the Santa Clarita Valley to find a first-rate horse training facility and riding school for you and your horse. 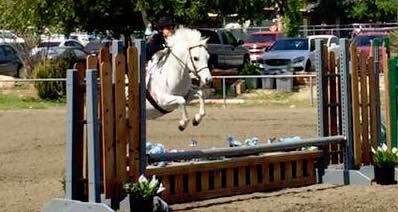 Old Canyon Farm, located at Sand Canyon Equestrian in Canyon Country, offers friendly, professional hunter/jumper/equitation training. The Old Canyon Farm Riding School provides a safe, fun start for your young riding enthusiast. A busy horse show schedule keeps us competing and winning at both the AA shows and the local level. 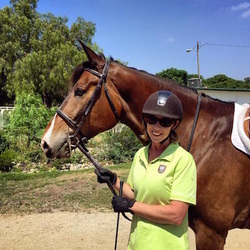 Owner Carolyn Culligan and her expert staff treat your horse like their own and guide your progress through the entire journey, from beginner to horse show winner—all without leaving Santa Clarita! We offer full training, partial training, and riding lesson packages to suit riders and horses at every level. Our schedules are tailored to accommodate adult riders as well as kids in school. Group and private lessons are available to suit your schedule. We specialize in matching each horse and rider at every level. Our experience and integrity will steer you in the right direction, whether you're buying your first horse or thinking about upgrading. To prepare for horse ownership, our Riding School provides beautifully trained school horses for our new riders, with leases available. We offer a peaceful setting with the highest quality care in the Santa Clarita Valley for your horse during rehabilitation or other layup requirements. Carolyn with her girls at the 2016 Memorial Day Classic—Winners all! 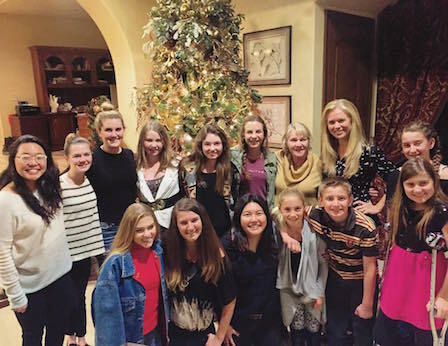 Great time at our 2015 Christmas Party!